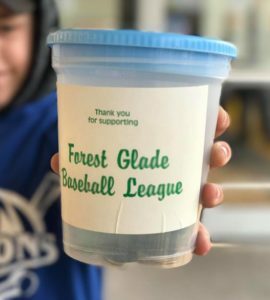 Forest Glade Baseball – …where FUN comes FIRST! 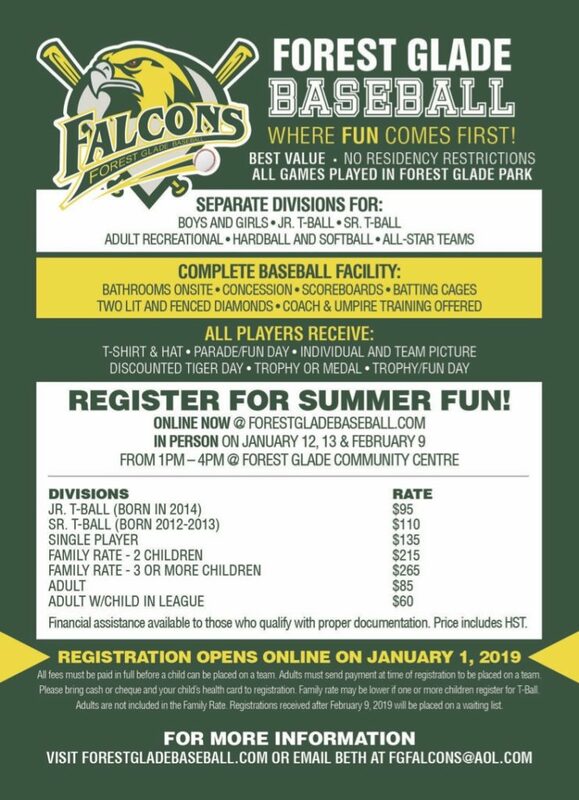 Please image below to save an updated copy of our 2019 Indoor House League Baseball Camp Schedule. 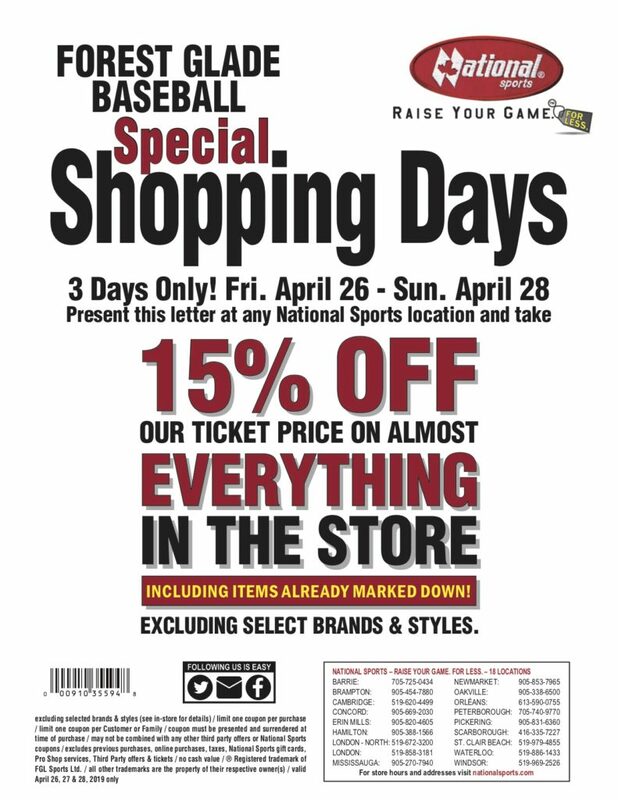 Our friends at National Sports are offering 15% off their ticket price on almost everything in store from Friday, April 26th to Sunday, April 28th. 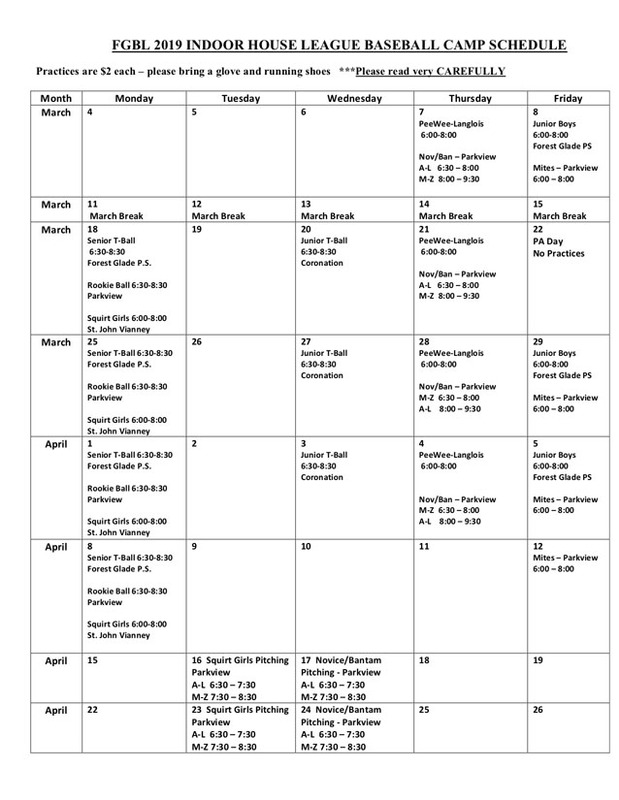 Click on the image below for a larger copy of this offer to be presented in store.